Medium and hard blades is not recommended for beginners, children and players which play often on the soft surface. The floorball blade is essential for quality floorball stick. We can say that if the shaft is not quality and the blade is quality you can somehow play, but if the blade is bad players cannot play well. We can say, that classic blade can be formed to be curved. The shaft length e.g. "96cm"
The length of the stick including the blade e.g. "(=106cm)". This value is aprox. 10cm bigger than the first value. The lengths are individual and they can differ on 1-2 cm. Why to buy a shorter stick? Why to buy longer stick? Optimal length of the stick allows you to get the right angle for passing/shooting, you cannot learn properly floorball skills without this angle. The most of sticks can be cut to custom length. The stick flex is published at all floorball sticks as a number. The higher the number is the softer the stick is. The hardness of the stick allows you to move the power from hand to the stick while passing/shooting, the ball is thus kicked off the blade. It is possible to make hard shots with a soft stick. General rule says, that children and players, who don’t have enough power in their arms choose softer sticks 29 - 36mm. Medium strong players choose the flex 26 - 28mm. 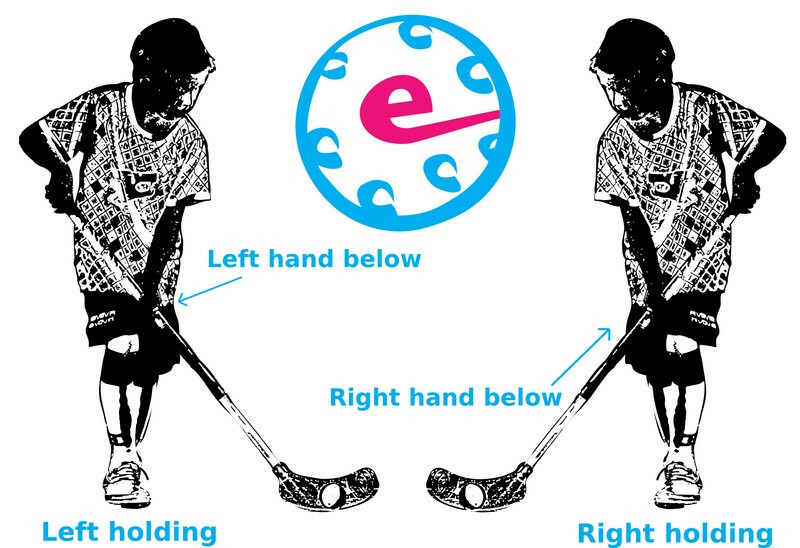 Players who are strong enough to bend a stick like a bow choose 23-25mm. The choice depends on power in hands and arms, not weight of players. If a player of big belly and weak arms does not bend the stick a lot, because the stick is too hard, then he/she bought a wrong stick. According to IFF (international floorball federation), there is a tolerance 2mm in the flex values. Sometimes players buy a stick of 26mm flex and it is the stick of 24mm an opposite can be the stick o 28mm - that means there can be 4mm difference between two sticks of 26mm. You can find both types within straight and curved shafts - in this case the shaft is curved to get a better angle while shooting by a wrist. There are also shafts, which are double curved, twisted or a thinner walls. There are also types of the shafts, which do not pass on vibrations to hands. Children should start with a straight shaft, after some years of practising they can choose their favorite shaft technology. The material is a mixture of glass fibers reinforced by resin. Composite is a mixture of Carbon and glassfibre. It is necessary to pay attention on the proportion between carbon and glassfiber. 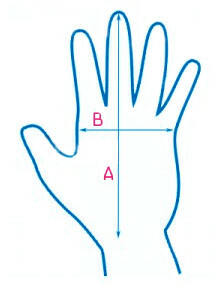 You should get to know this proportion. The more Carbon sticks contents better quality the stick is. Competition sticks are produced from Carbon fibres. Recently this kind of material was improved - there is now several types of the Carbon - Nano Carbon, Japanese Carbon etc. New types of Carbon are lighter, some of them are much fragile. Fragility is reinforced by sometimes by a layer of Kevlar. Kevlar is more expensive, but supplies sufficient durability for the stick. The stick and the shaft should be attractive for players, but players should realize, that the most important are stick preferences. 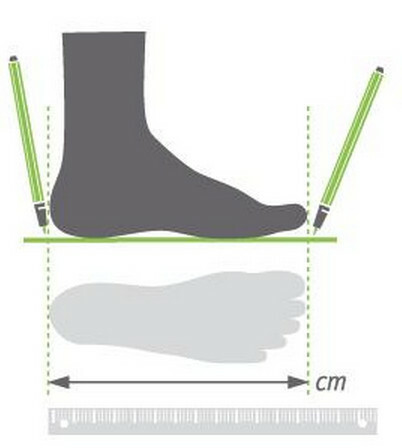 There is a size table at each product’s page, the price table says how to convert the length of the foot to the correct size. Then you can find the related value in size table - there are sizes in cm and in US or UK sizing. All dimensions are centimeters. They represents mean value of a body type. The equipment should be looser. 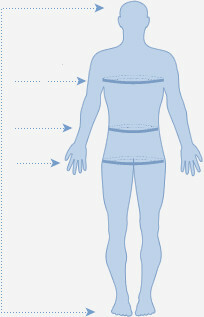 If dimensions for height and chest are different, we recommend to use chest dimension. If dimensions for seat and waist are different, we recommend to use seat dimension.